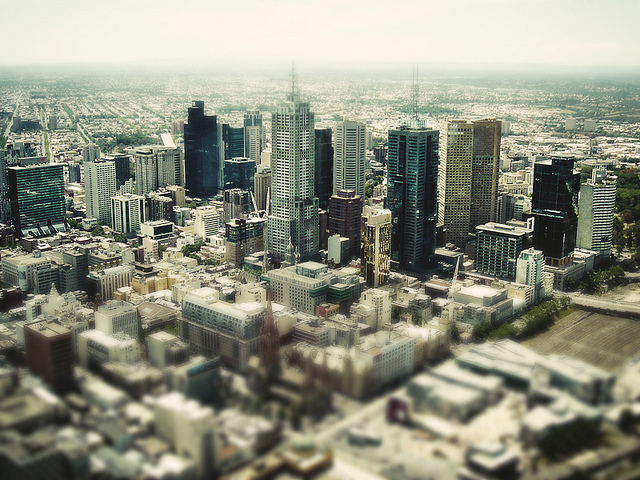 With high scores in five broad categories, Melbourne, Australia received the highest spot in EIU's livability rankings. Photo by Eloise Claire. The report explains that for the first time in nearly a decade, Vancouver is not at the top of the livability rankings. In the 2002 survey, Melbourne and Vancouver were tied for the number one position. Although Vancouver is no longer in the first position, the report explains that the general conditions required for a location to be awarded a high livability ranking are still well reflected in Australian and Canadian cities. One thing the report finds as a common ground between livable cities is the size of the city and its density. “Those that score best tend to be mid-sized cities in wealthier countries with a relatively low population density,” the report explains. “This can foster a range of recreational activities without leading to high crime levels or overburdened infrastructure.” In fact, the report shows that seven out of the top 10 scoring cities have population densities of 2.88 and 3.40 people per square kilometer. Finland and New Zealand, also in the top 10, have relatively small population densities of 16 people per square kilometer. “These compare with a global (land) average of 45.65 and a US average of 32,” according to the report. But low population density is not always the trend, as seen in Austria. Vienna, with the second highest livability score on the list, has a density of 100 people per square kilometer. Although population density is high for Vienna in comparison to other top 10 cities, the report adds, the city’s population of 1.7 million people is much smaller in comparison to larger urban centers like New York, London, Paris and Tokyo. EIU’s livability rating aims to quantify the challenges inhabitants might face in a given location, while allowing comparison between different locations. It relies on 30 qualitative and quantitative factors across five broad categories like stability, healthcare, culture and environment, education and infrastructure. Within each city, factors are rated as acceptable, tolerable, uncomfortable, undesirable or intolerable. For qualitative measures, in-house analysts and in-city contributors award ratings based on their own judgment. Weighted values per each category prioritize the standards of the overall livability ranking. Stability, culture and environment, for example, comprise 25 percent each of the total livability value. Healthcare and infrastructure make up 20 percent each; and education accounts for only 10 percent. In Europe, the current economic crisis took a toll on livability. The depreciation in livability value is especially visible in Greece, EIU explains, where austerity measures and resulting protests led to a 2.5 percent decrease in the livability score for Athens. Livability scores are seeing a similar drop in the Middle East and North Africa due to civil unrest and the revolutionary wave of protests happening in the Arab world. The livability ranking of Tripoli, Libya has been especially affected by the recent uprisings, placing the city in the bottom ten, at the 135th spot, with an overall rating of 40.4 out of 100. Download a free and abridged version of the report here by filling out a short survey. Do you think the ratings hold? Which city do you think is the most livable? Finding a Smarter Approach to "Smart Cities"
Where's the World's Most Painful Commute?